With heavy rain falling across Wales for several days, The New Saints’ JD Welsh Cup game in the south of the nation was in jeopardy. Although it survived a pitch inspection the day before, it was still touch-and-go as far as the actual day itself was concerned. The original plan to stay over in the area was revised and so, bright and early on the Saturday morning we set off from Park Hall instead. It meant that I got to see my granddaughter though, so for as much as I love football-related travel, every cloud has a silver lining. 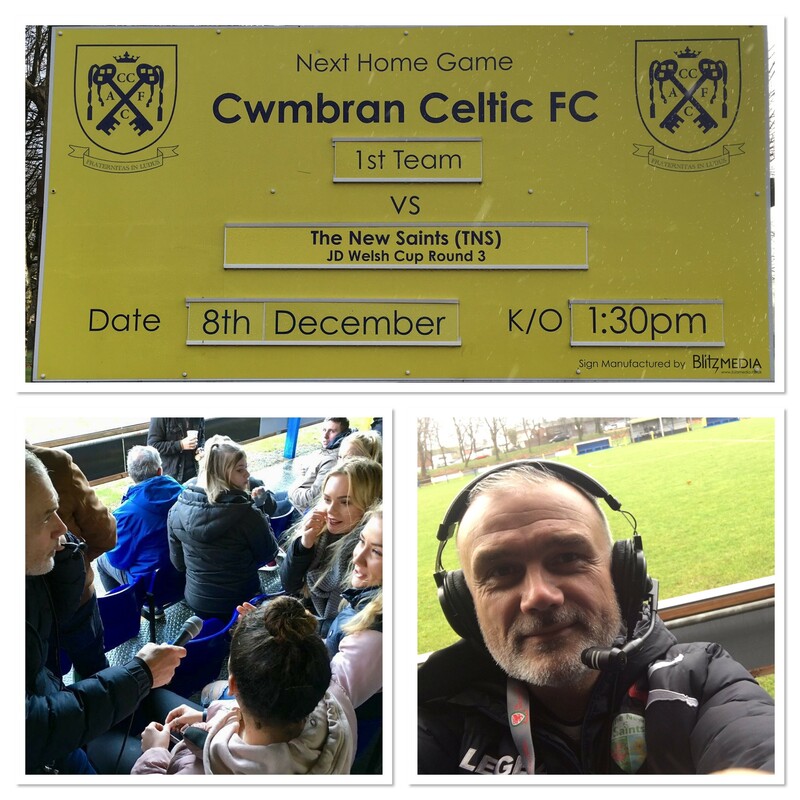 Was travelling to #cwmbranceltic today with #thenewsaintsfc but with pitch inspections, going in the morning instead. #everycloudhasasilverlining though and I get to see my #granddaughter tonight. One of my roles at The New Saints FC is the pre-match press conference with our manager, Scott Ruscoe. You can watch that via the embedded TNS TV video below. The game itself ended 3-0 to The New Saints. The welcome from The Celts was excellent and very friendly. Obviously the result was what it was all about but I enjoyed my visit very much. A new groundhopping tick, Celtic Park is my 46th Welsh ground, my 32nd new one of the season so far and my 184th overall. Visit my groundhopping pages HERE. Following the game, I interviewed manager, Scott Ruscoe, and hat-trick hero, Chris Seargeant, for TNS TV.